Health and Safety: Risk Management is the clearest and most comprehensive book on risk management available today. This newly revised fourth edition integrates new developments in legislation, standards and practice, and incorporates up-to-date information for qualification syllabuses. The book is divided into four main parts. Part 1.1 is primarily concerned with the fundamentals of risk management and is relevant for all students of health and safety, while Part 1.2 covers the required basic human factors material required for health and safety qualifications. Part 2.1 deals with the more advanced aspects of risk management, while Part 2.2 covers the more advanced human factors material required by those studying for qualifications in health and safety. 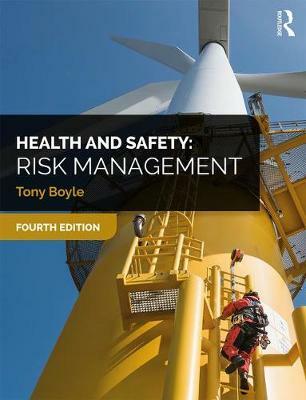 This authoritative treatment of risk management is essential reading for both students working towards degrees, diplomas and postgraduate or vocational qualifications in health and safety and experienced health and safety professionals, who will find it invaluable as a reference.